Simple SMS, also known as SMS marketing is the most trusted, reliable, affordable and user-friendly way to reach customers. SMS is the most powerful method to engage with clients, but where there is power there is also great responsibility. Although SMS has transformed the way people communicate, some companies have actually fallen prey to the new technology because they didn’t know how SMS is best used and when to use another method of contact. As one of the hottest trends in marketing, SMS messaging has been able to produce higher conversion and results rates. As technology improves and businesses try to integrate SMS, some companies may find themselves in trouble because they did not adhere to certain rules of the communication method. This article is going to discuss where SMS Marketing should be used and when it should not. Since I champion SMS, let’s begin with those times when SMS is not appropriate. When isn’t SMS Marketing best for business? Be clear about any program you’re putting them on: make sure that subscribers know what type of message to expect. Your description should be one or two sentences. It might describe sending promotions or perks from a loyalty program—just make sure consumers will not be blindsided when the first SMS message arrives. Get permission: to avoid issues, you must get permission from your subscribers, otherwise, you will be breaking laws or spamming, which can lead to a hefty fines and annoy customers. Pay attention to frequency: nobody wants excessive texts landing on their phone—especially from a business. Text only a few times each month, otherwise customers will begin to form negative associations with your brand and may opt out. Include a disclaimer: The CTIA requires you to state that “messages and data rates may apply” and other disclaimers in your SMS. But don’t worry—SMS service providers automatically add these disclaimers to an automated SMS and subscribers need only see it once, when they join your list. You need to follow all the above and other rules for your SMS marketing campaign to be successful. Failure to do so can result in reputation damage, hefty fines, and customer opt-outs. If you cannot follow these rules, SMS probably isn’t the right strategy for your business. Text messages can make some things much easier for your business, but only when used appropriately. Emails are often ignored which means they do not lead to enough responses. But, thanks to SMS you have another method for getting feedback from your customers. So where and when is text messaging best used? Setting follow-up service appointments via SMS is a great for customer retention and return visits. SMS can be great for connecting with an individual one-on-one and receiving replies. Use SMS to follow up with customers after delivery of products and services. 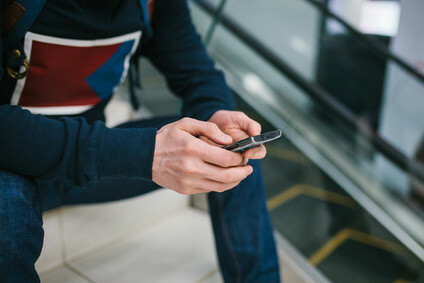 Text messages are better at getting the consumer to respond than emails, so if they need support, they are more likely to ask for it in response to an SMS message. Reminding your clients and employees via SMS is easy and quick compared with email and going to each one in-person. With SMS, you can get fast feedback and even schedule impromptu meetings. Creative SMS includes links to websites featuring songs, products, and videos. You can ask your customer to take their time to review an item or service and then get their honest feedback. It’s a great way to know your customers’ thoughts. Low-cost marketing: Messages are affordable and most providers offer monthly programs that are cheaper. SMS Marketing is the best way to run a strong, yet inexpensive marketing campaign. Develop a closer relationship with customers: SMS is by nature a personal way of communication. Most people have their phone on them at all times, and often this is the preferred method of communication among friends. Levels the playing field: SMS gives small businesses the chance to promote themselves as well or better than established companies. Builds ongoing engagement with customers: Sending messages to your customers keeps you continually engaged with them. Just don’t frustrate them with too many texts! Text messages can help small businesses to establish themselves and compete with larger companies. Still, it’s important to know when to use SMS and when not to. SMS services like SMS gateway, SMS API, and A2P are just some types of SMS that you can use to engage with customers.